Did you know? There’s a close connection between school attendance and student success. 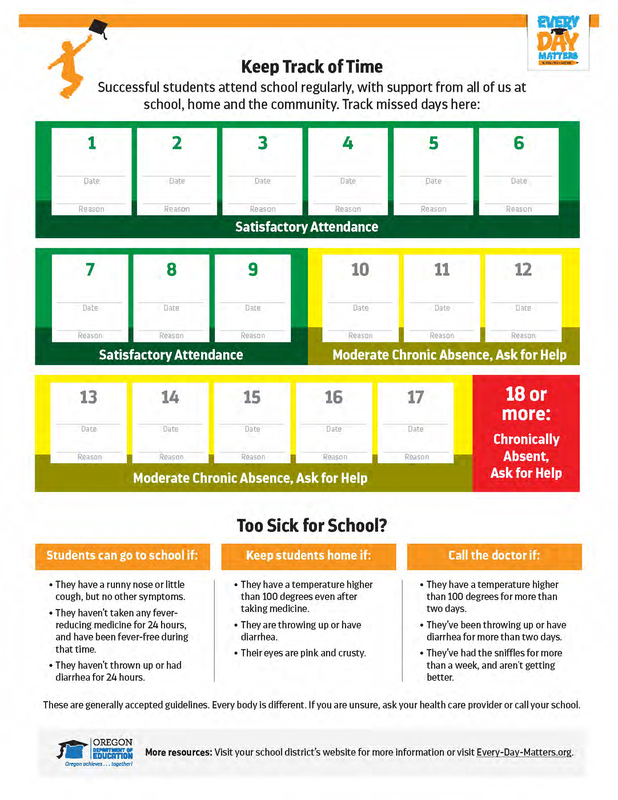 Students who are chronically absent (missing 10 percent of the school year) are much more likely to struggle in school and have trouble graduating. If your child misses school two days a month, they are at risk! It makes sense because every school day and every lesson builds on the one before, making it easy for absent students to fall behind. 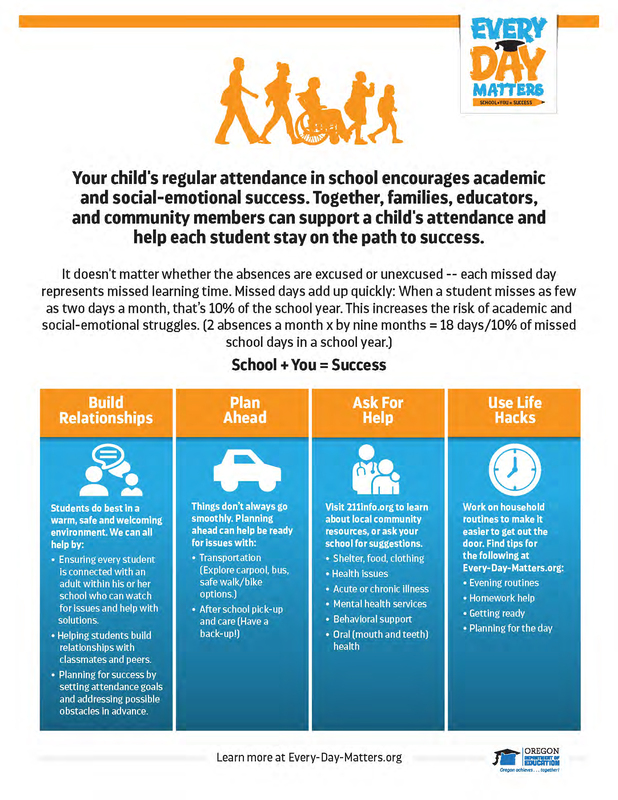 Get tips on how to improve your child’s attendance at www.every-day-matters.org.